Fate has got it in for Libby Lomax. She realised, far too late, that her best friend Olly, is the actual Love of Her Life. Now he’s in love with the so-nice-it-hurts, Tash, and it looks like her happy ending is completely out of reach. Things start looking up when she, quite literally, runs into the completely gorgeous Joel. Libby discovers that there is more to Joel than his six-pack, not least, the incredible fact that he honestly believes he has found his fairy tale princess in her. Review: This is the final part of a trilogy by Lucy Holliday, following on from A Night In With Audrey Hepburn and A Night In With Marilyn Monroe. The question with trilogies is always whether each part can be read as a standalone. In this case, I would suggest that it would be best to read all three in order, as there is a central story running through them; but then I would suggest that you should read them all just because they are so good. 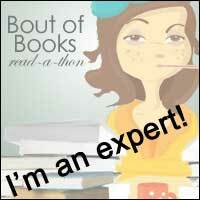 They are without doubt some of the funniest books I have read. It does help if you can suspend belief a bit, as magic forms the basis of the stories. The central character in all three stories is Libby Lomax, a lovely girl with a dreadful overpowering mother and an equally awful sister. It's just as well she has long time best friend Olly to look after her and keep her grounded. Having found somewhere to live, he is the one who helped her find some furniture, including a sofa which turns out to have some strange powers and play a big part in the story. 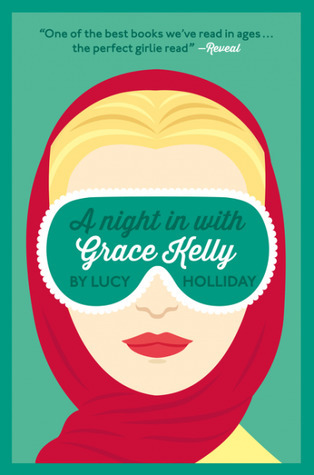 In this book, Libby, as the title suggests, has a surprise meeting with long dead actress Grace Kelly, dressed in her fabulous and iconic wedding gown. As in previous parts of this series, Libby is given very good advice by her actor friend in an attempt to help her sort out both her love life and her future in general. I really loved this story and would highly recommend it to anyone. Libby Lomax is such an endearing character, persevering through all that befalls her. Her friend Olly is also lovely; you can't help feeling that they belong together. As I said at the beginning, the book is really funny; a cleverly written combination of romance and comedy with a little sprinkle of magic. To get your fabulous copy now, click here!